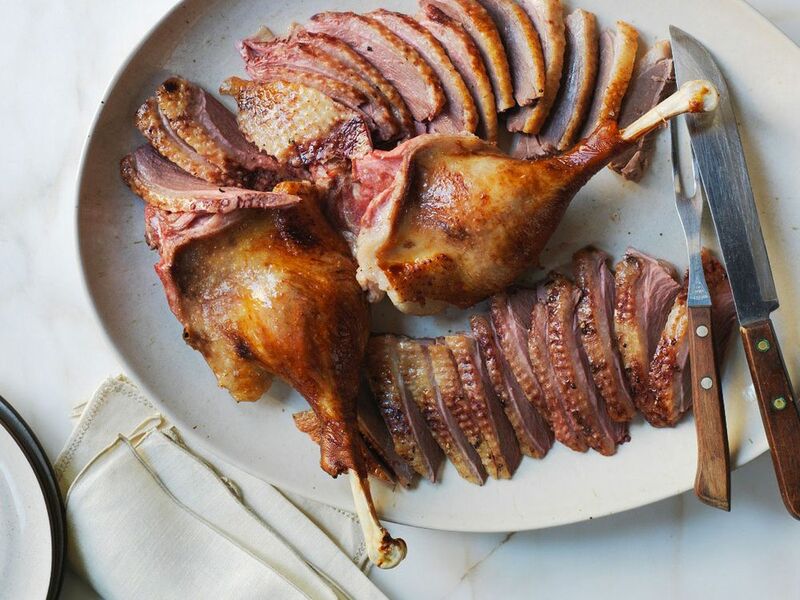 How to cook your goose! Master stock and confit add complex rich flavours and delicate saltiness with unparalleled ease and simplicity. How to cook a goose is a celebration recipe, the perfect roast goose or turkey is the center of every Christmas and thanks giving table. Bruno is often referred to as the founder of sous vide cookery. 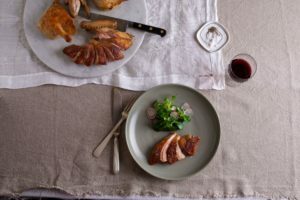 The exactness of this recipe reflects a true master of sous vide sharing a glimpse in to his world and making our joyous celebrations a feast fit for kings. Time: 30 minutes preparation 3-15 hours cooking depending on the type of goose. 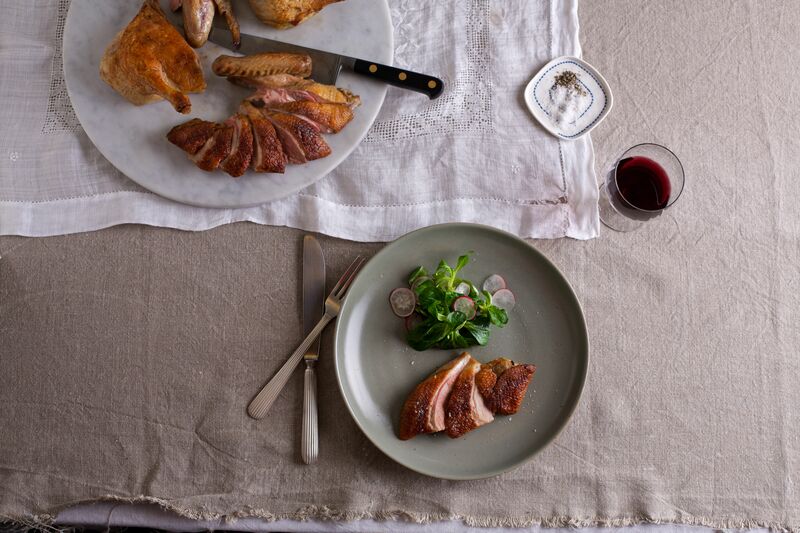 Goose breast has thinly spread out collagen and little fat, for those reasons its cooking for optimum texture requires complex sous-vide cooking process. Keep the skin on the goose breast, then sear it on the breast side in a hot pan until nicely coloured. Chill the breast to below 6ºC/42.8⁰F. 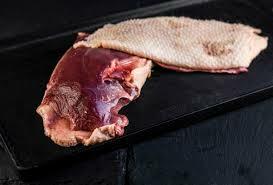 Once chilled, vacuum pack the goose breast, with the stock in a vacuum pouch designed for cooking in. Don’t compress the breast too much. If using a digitally controlled chamber vacuum machine set it to residual pressure 20 mbar and add 10 sec. Place the pouch in a water bath at 83⁰C for three minutes. Then transfer the pouch to a bath at 66ºC until the core temperature of the breast is at 60ºC, you will need a thermometer with fine probe and closed cell tape to check this or estimate it using the SousVide Toolbox. Reduce the temperature to 62ºC – adding cold water or a hand full of ice to the water bath will drop the temperature quicker – then cook thirty minutes for a farm raised goose and three to five hours for a wild goose. To cool the goose for later use rest it in the pouch for 15 minutes at ambient temperature, then 15 minutes in sink water (18ºC) and finally 2 hours in iced water (0ºC to 2ºC). The goose will have a shelf life of 21 days at 0ºC to 2ºC. Follow the same process to prepare the leg as you did the breast, but to vacuum seal it is important to remove the air out of bone without pulling the bone marrow. The vacuum setting is 20 mbar plus 25 seconds extra vacuum. 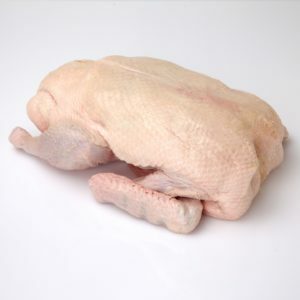 The cooking temperatures are quite different to the breast, cook the leg 83ºC until 72ºC at the core temperature, then transfer to a 66ºC water bath for 90 minutes for farm raised goose or 6-12 hours for a wild goose. To cool for later use follow the directions for the breast. Shelf life 21 days at 0ºC to 2ºC. 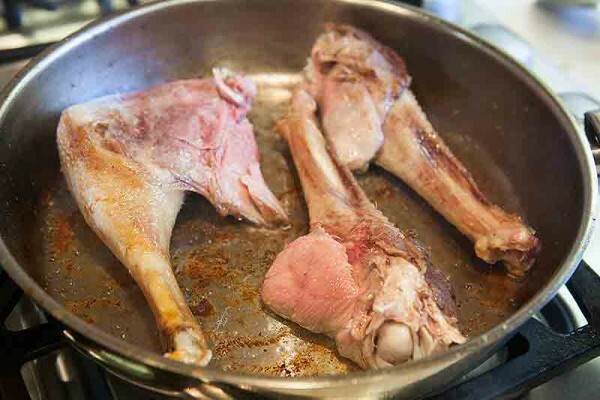 To cook the goose whole prepare it in the same way as you would just the leg. To cook submerge just the legs in the water bath at 83 ºC until the temperature in core of the leg arrives at 70 ºC. Then put the whole goose in a water bath at 66 ºC until the core temperature of breast arrive at 62 ºC. Reduce the temperature of the bath at 62 ºC and cook the whole goose for 90 minutes if farm raise or 8 or 12 hours for a wild goose. Reheat the goose for thirty minute in a 62 ºC water bath. The skin can be brown in a hot pan with a little oil or under a hot grill if more colour is desired. Keep in mind that the goose is fully cooked at this point and should not be exposed to further cooking. This method works just as well with turkey as it does goose.